Happy Friday y'all! This week has been a mixture of fast and slow...all I know is that I am excited for the long weekend! Anyways, here are my top 5. 1. Cotton Candy flavored grapes. Don't believe me? Check out their website HERE! My office roommate bought these thinking they were regular green grapes and they weren't. It had a much sweeter taste than what she normally likes, so she brought them into the office. Let's just say I think they are awesome...and they may almost be gone. Definitely worth the try! 2. I have officially moved in with my two new roommates (a girl and her dog) and waking up to this every morning has kind of made my day. I just love him! 3. One of my 101 in 1001 goals was to buy fresh flowers for a month. Last night, I decided to buy my first bunch from Trader Joe's. Such a pretty way to make my new bathroom look just a little bit prettier! 5. Tomorrow my North Carolina State Wolfpack start their football season. At 12:30pm. I will be there. Get ready LA Tech...This Is Our STATE! This month's cara box theme was "Seasons of Life." I really enjoy this little care package exchange program between bloggers put on by Kaitlyn over at Wifessionals . It is a great way to get to know different bloggers all while receiving snail mail! This month I really got to know the two girls I was paired with and love reading their blogs on a daily basis! My box this month was from Amanda over at Cats, Cuddling, and Carrot Cake and she did a wonderful job! Amanda and I really connected because she will be moving to the great state of North Carolina in just a few days...and that is exciting! We seem to have similar interests which made it really easy for us to get to know each other. I sent a cara box over to Carlisa at This is Something Infinitely Interesting. Go check out what I sent to her HERE! Finally...I am back to the blogging world! Weeks that I travel for work are unfortunately weeks that make it really difficult to write on this blog. This past week I was in Washington state driving around with one of our area sales managers and our supply chain VP. Many hours were spent on a plane, in a truck, and walking around checking out the latest and greatest. It is especially difficult to blog when I am on west coast because my work email tends to get backed up a little bit. So, instead of blogging, I spend that time getting caught up with work. After all, I love what I do and responding to emails is part of the job. Whenever I travel, I learn more and more about the agriculture chemical industry, but I also learn a lot of life lessons. The people that work for Cheminova have strong core values and many of them choose to treat me as a daughter or sister. Working in agriculture provides more than a career...it provides a family and I am forever thankful for it. Agriculture is a necessity. We can't live without it, which is why I love it. Those that choose this industry make it their lifestyle. We immerse ourselves in it. Most agriculturalists are up before sunrise and work until dusk. We get our hands dirty, we live for the land, and are trying our hardest to feed the growing population. We don't do it for the glamour, we don't do it for the money, we do it for you...the consumer. We get to see the beauty of God's creation every day...we are gifted with loving families that share this passion with us. It's a lifestyle. It's a love. And it's easy to get immersed and forget about the rest of the world. Take a moment and put away the technology and see the beauty of the earth. Trust me...it is so easy to forget what this earth has to offer. Take your family with you...spend that time together and really lose yourself in nature's beauty. I learned a lot about agriculture chemical sales this week, but I really developed relationships. I fell in love with agriculture and it's core values again...and added a few to the family. high five for friday. thankful style. Y'all, today is Friday and I have decided that when the going gets tough it's okay to have a couple bad days...but let me tell you, it's time to get happy around here again. I have an exciting week ahead of me and I want to make sure that I can get the most out of it that I can. So...instead of five highlights of my week, I have spent some time thinking about the things that I am thankful for in my life. +Spending more time with my family. +Getting to see United States and agriculture is several states. +Developing friendships in my office. +Contemporary Christian music to help in difficult times. +A heavenly Father that loves me compassionately despite my mistakes and fragile heart. +A daddy that can fix,move, and help me with just about anything. +A mom that gives the best advice and helps me through tough times. +A brother that calls me just to talk. +A new church full of people that I have grown to love. +Amazing friends that are always there to listen. Even though I don't have five pictures to show you...thinking about these things has really made my week! Take some time to write your blessings down; it really makes a difference! This past week has really taken its toll on me. My mind is exhausted, my body is exhausted, and I cannot help but wear my emotions all over my face. Y'all, deep down inside my heart just hurts for myself and for some of those around me. Whoever said the 20's would be some of the best years of your life is kinda' crazy. Yes, don't get me wrong, I have had my share of wonderful memories and blessings, but lately the way I have been feeling is not part of those. Change- A lot of change is occurring in my life right now and it has really shown me that I don't handle it well. At one point in my life I thought I did, but now I realize that change just makes me over-analyze and over-question every part of my life. I have started attending a different church, a major relationship in my life is missing, and I am moving to a new place with a friend. As much as I love the new church I am attending and am excited for my new roommate, all this change at one time still makes me a nervous wreck. 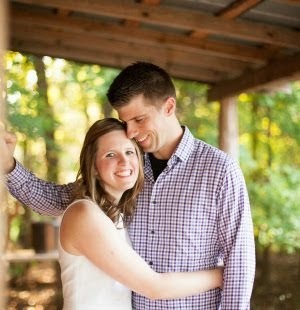 Love- I am still in love with the same man that I met seven years ago at an FFA endowment signing. He is honestly the first person that I truly loved and losing that part of me hurts more than I could ever imagine. Trying to heal your heart from a breakup is really hard, especially considering the circumstance is just the distance. The Lord just doesn't want us in the same city right now, and as much as I hate it, I know His plan is greater. He made it work before...maybe He will make it work again. But, when two people are still in love, your heart just hurts that much more. Anxiety- My mom likes to call me her "worry child" because that is honestly all I do. Sometimes I worry so much that it causes my anxiety to heighten and for some unexpected symptoms to arise. Anxiety isn't healthy, worrying isn't healthy...but the more someone tells me not to worry, the more that I turn it over and over again in my brain. For those of you that have experienced anxiety...you know it's a vicious cycle. Confidence- A year ago I felt like I had all the confidence in the world. I had just graduated from college, I had a job, and everything just seemed to be falling into place according to plan. It's funny how things can get turned upside down in a heartbeat and God reminds you that you need to rely on Him and Him alone. As the picture says above...right now is a time of healing for me. I think we all go through tough stages in life and this just happens to be one for me. The things that are happening in my life are much easier than some of those that I know, but for me here lately, the struggle has been real. What is comforting is knowing that the Lord has a plan for me and each day He is repairing those missing pieces that are in my life. Just when we think we hit our all time low...He picks us up and brings us even closer to Him. Let me tell you...that is an amazing God. I am moving in less than 2 weeks, so I thought it would be the perfect time to develop an organizational system for my paper work. I think we all have piles of paperwork that needs a proper place, but most of the time we don't take the time to do anything with it besides pile it up on the counter. So...I spent part of my weekend getting it all organized and it looks great! Here is my desk. I don't have a chair yet and was going to wait until the move, but that little black box is my new organizational system. So this little black box is honestly the best. I got it for about $10 from Target. It came with folders, but I ended up purchasing some more folders to hold all of the papers that I have. I am kind of a paper hoarder...guess that is the teacher in me. I have gotten better though...I purged a bunch of papers this weekend! There is literally a folder for everything. Loan paperwork, apartment stuff, insurance, health records, receipts, etc. I am glad that I finally took the time to organize it...I feel so much better! Now, I just need to keep it up! Do you have an organization method for all your paperwork? Blogging has always been a healing place for me...and this past week I have neglected it and have definitely noticed the effects that it has had on my life. A lot has happened...so let me fill you in. I have been attending a different church. When I was living in southeastern North Carolina I started attending a Baptist church regularly and absolutely loved it. The pastor was great, the service was great, and so were the people. One of the hardest things when I moved was to leave that church. When I moved back to Raleigh I knew I needed to find something similar. That Baptist church made me happy and I felt like I was really encouraged to dive into the Word. I didn't feel like I was in a class...I felt part of a discussion and support group. It was extremely encouraging. So...I began searching and tried out several different churches. I have finally found one that I really enjoy and have been going to a Sunday school class with people that are my age. I love it and have met some really nice people. There are several transitions happening to the people in my class and one of them mentioned that they had a long- haired dachshund mix that needed a home. I gave the girls my number and mentioned that I was interested...after all, I have been looking for a dog for over a year and this was one of the breeds I was interested in. I went and visited this sweet dog and fell in love with her. Long story short...I took her home the next night and had her for the evening. I walked her around the apartment complex that evening to see how she acted around other dogs and noticed that she was really skittish around larger dogs. Since my future roommate's dog is a large boxer, it made me really nervous. This sweet girl kept hiding behind my legs and it scared me a little for her. After a great night with her, I felt in my heart that it wouldn't be right to keep her because I didn't want her to live in fear. It was hard giving her up...but she deserved someone better than me. She is currently back with her original owner and is still looking for a home. I had so many mixed emotions on Thursday when I took her back to her original owner. She looked so sad when I left her and it really tore at my heart. Coming home without a happy puppy in my house is sad, but I know long term I did what was right... it doesn't make it any easier though . Taking her back to her owner made me feel like a failure...I have grown up with animals my whole life and love them. BUT, giving her back was the right thing for her and I just need to keep reminding myself that. Overall...its just been an emotional week and I couldn't be more appreciative that it is the weekend. I need some time to heal, some time with the Lord, and a little bit of time to realize that everything is going to be okay. it's time to stop and smell the roses. Life has honestly been a whirlwind lately. I don't know where time goes anymore and as most people always say...life flies by when you are having fun. I have had my fair share of bad moments these past few months, but lately, truly beautiful and blissful moments have been happening in my life. These past few weekends I have taken some time to spend with my family at home...and guess what, I am okay with that. Spending time at the feed store with our employees (that are like family) and time at home is healing for me. It refreshes me for the week to come...and it just makes my heart feel good. I have gotten to see a couple funny movies with a friend and have had some wonderful lunches and dinners with those that I love. I have learned a lot about relationships, a lot about myself, and am finally making time for the things that I love. Just last week I had a hopeful opportunity to get back into riding horses again. I got so excited that weekend that I cleaned my boots and chaps, pulled my riding pants out of the closet, and even got some hairnets to make sure that my hair (which is much longer now than what it used to be) went up into my helmet neatly. I couldn't wait to hear back from the farm that wanted someone to school their two mares for them; I really couldn't contain my excitement. Then...I didn't hear anything and my hopes were absolutely crushed. I followed up and they had found someone else. Have I been disappointed? Yes. Were my hopes up more than they should have been? Probably. But...maybe this is just God's way of telling me that it's time to stop and smell the roses. Maybe it's time for me to look around and see the beauty that surrounds me. Lately, what He has been doing in my life is truly amazing and wonderful. My heart is opening up, the smile is coming back, and the happiness is truly blooming within me. When little things set you back...I think it is important to remember small moments like this. I know that God has a plan for me. I don't know what it is right now, but all I know is that I am waiting for His perfect plan...since discovering it myself is a lot harder than I thought it would be. So today and many more to come...I am just going to stop and smell the roses. Y'all this past week was awesome. I don't have five pictures to show you because...well, my week was a slow one and man was it nice! I wasn't obligated to be anywhere at night, so I have really gotten to enjoy my time alone. I spent some time trying to complete some items on my 101 in 1001 list, I have exercised some, and I have enjoyed getting 9 hours of sleep almost every night this week! Anyways, I spent some time at home on Saturday with my family and our dogs. This is honestly one of the best pictures of our family dog named Trixie. Whenever I come home, she is attached to my hip. She is definitely a girl's best friend. Here is our other family dog. His name is Obi...I love him too, but Trixie and I just love each other more. Obi is definitely the trouble-maker of the bunch. Trust me...since he is so tiny, he gets lots more lovin' than Trixie does! Tonight, I have the privilege to attend Cheminova's 75th Anniversary party! Several of our guys out in the field and their spouses will be flying in to take part of the festivities. It should be a really fun night...I can't wait to post about it next week! All in all, this was a fabulous week...and I cannot wait to have many more like it! Did you have a good week?